Celebrating our world every day! Egg-hunts for Easter? That’s so old hat. 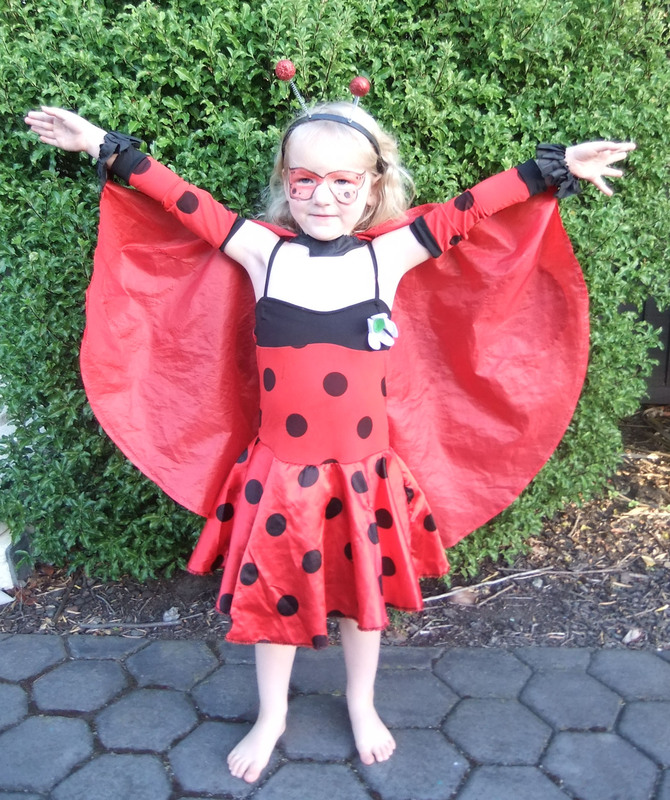 Instead, Josie (a.k.a Super ladybug) and I have decided to go on a backyard bug-hunt. We’ve had some lovely bug close encounters just recently. It’s that wonderful time of year when we are harvesting our autumn crops, cutting back shrubs and trees ready for winter, and as we do so, we are uncovering some cool critters. Like this amazing praying mantis that we found on the basil! He was pretty feisty, boxing at us with all his might, which just showed off the wonderful blue spots on the insides of his legs that identified him as New Zealand’s native mantis. 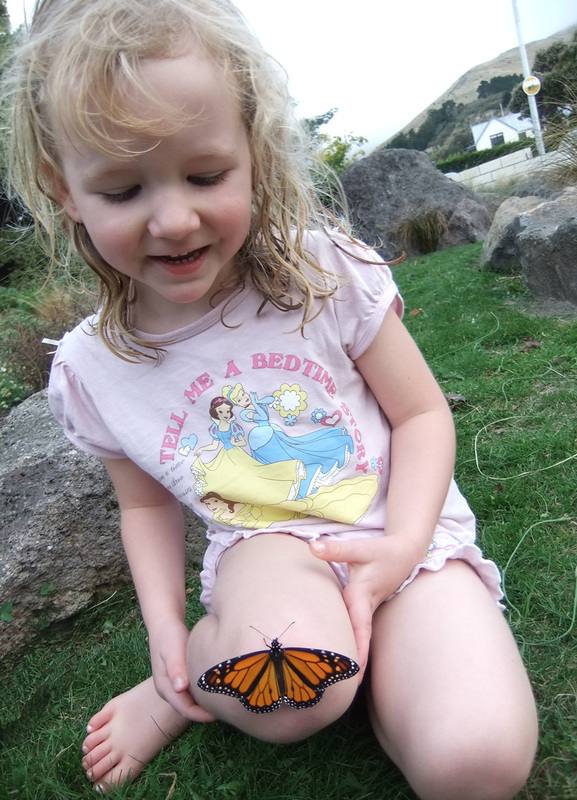 And our swan plants that we planted this summer are still producing crops of Monarch – this one landed on Josie’s knee to dry its wings! I haven’t quite convinced myself to plant onga onga nettle though – I know it’s a favourite of red admirals but it seems slightly bizarre to plant tree nettle in a home garden! That is of course the best way to welcome insects – plant up your garden with plants that insects like. Butterflies are attracted by lots of nectar and so like plants with flowers to rest and land on. 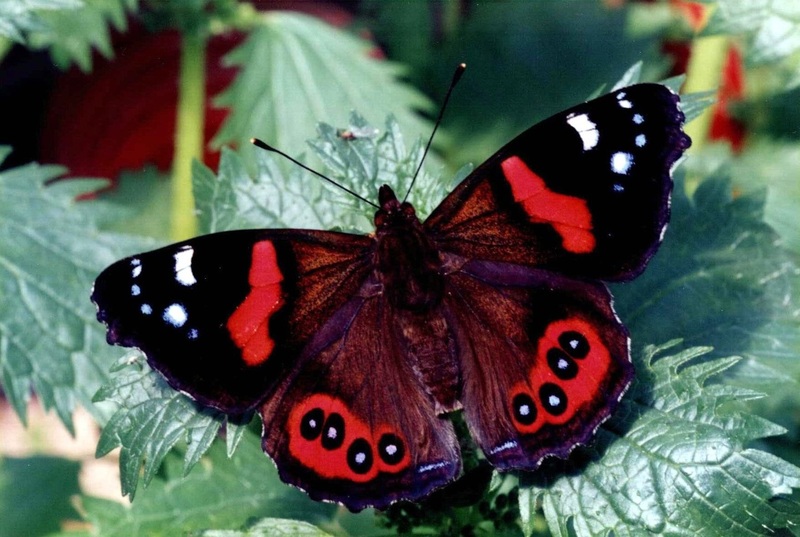 The NZbutterfly website has some detailed fact sheets about each species of butterfly and what plants they like. Bees also like lots of nectar and they are pretty handy for pollinating flowers. Native shrubs like Olearia, hebes, shrubby tororaro, and pittosporums like kōhūhu and tarata / lemonwood are all favourites of insects. Of course anyone with a compost heap and vege garden would welcome worms as they help with important jobs like aerating the soil. Areas of long grass or hedges become refuges for insects to over-winter in and a good layer of mulch or leaf litter on the garden will also encourage insects. So, to find out how insect-friendly our garden really is, we decided to see what else we could find. On the Department of Conservation website we found instructions on how to make two really cool traps to catch insects. And to keep ourselves busy while waiting for our traps to catch something, we had a go at an inside insect hunt as well. 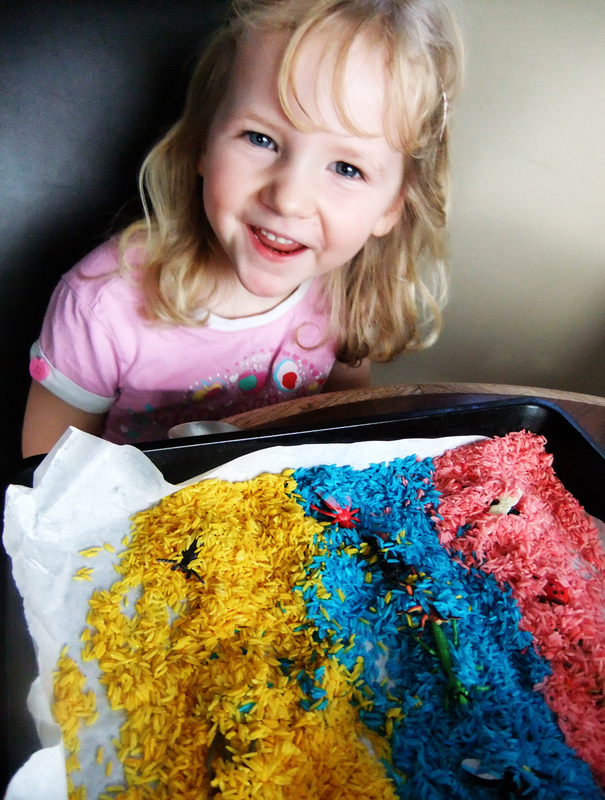 We made some rainbow rice, thanks to this great recipe from happy hooligans. 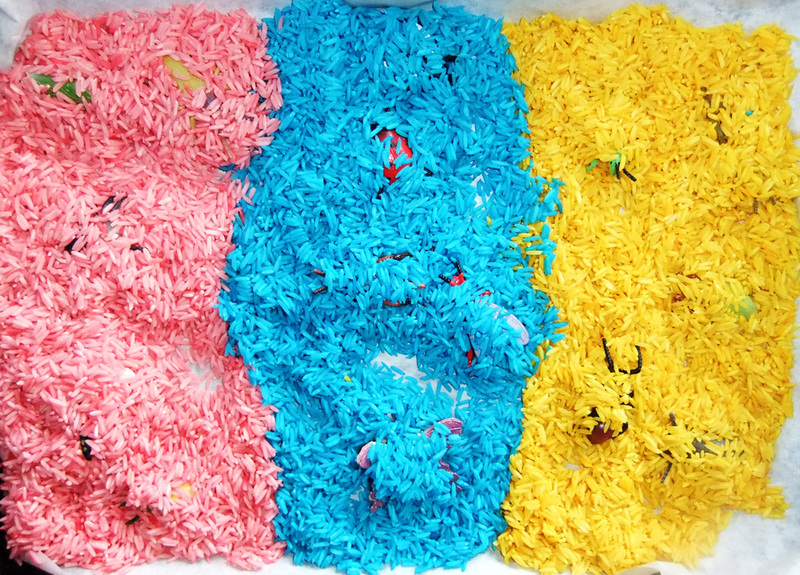 The bugs are hiding in rainbow rice! I buried the bugs in the rice and then Josie “hunted” them down. Josie was so funny – she carefully uncovered by random scattering of insects, and then carefully placed them in lines – one line per rainbow stripe. Then she covered them back up again! She has a wonderful sense of order. 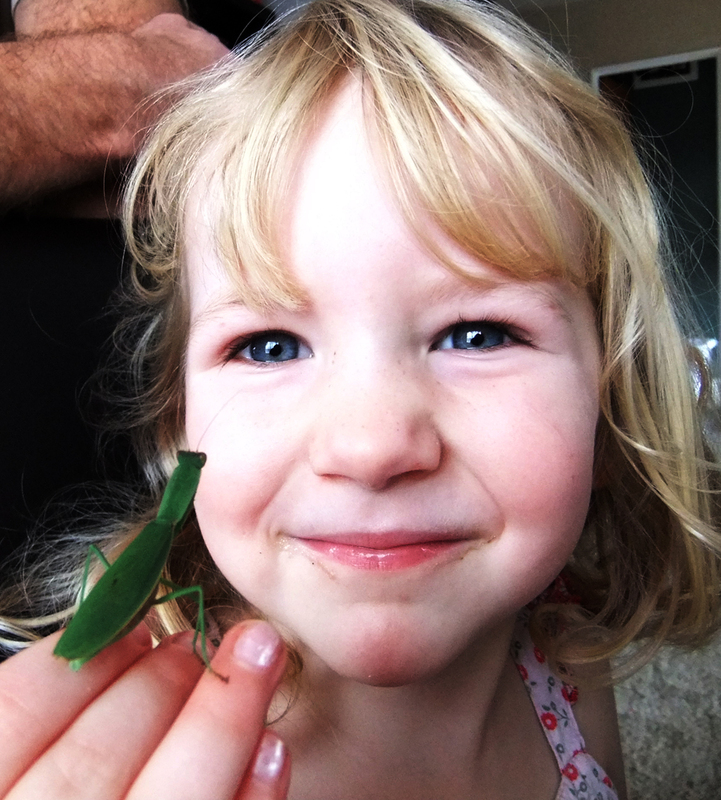 Josie is a happy entomologist - even if she can't say the word! I thought William would be too old for this activity but no, he was right into it as well. 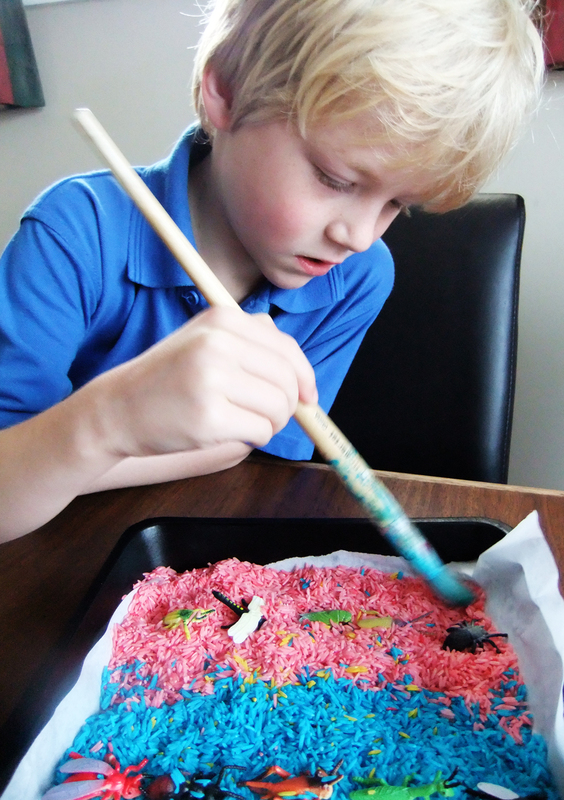 His approach was to pull all the bugs out, smooth the rice down with the back of a spoon. 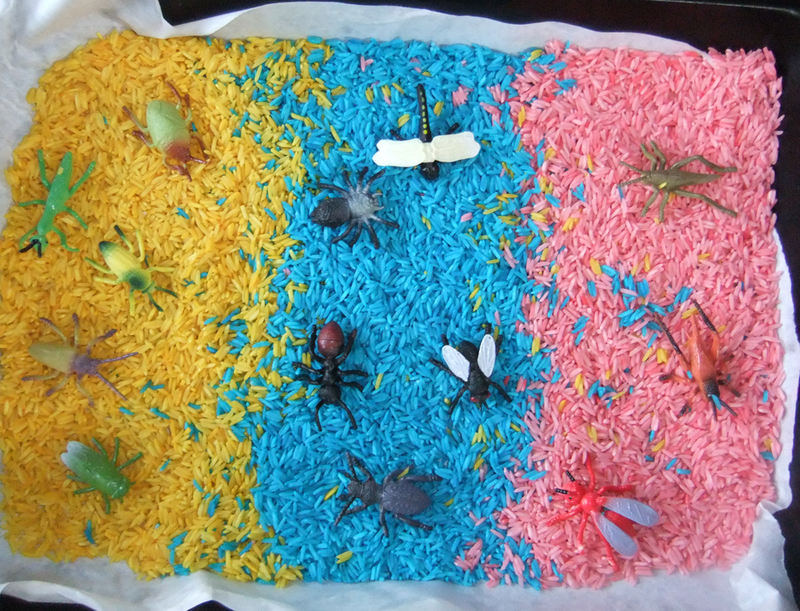 He then placed the bugs on top of the rice, grouping them by colour – which he then said was camouflage! Anyway, we can’t wait ‘til Easter Sunday to check our potato traps – let the bug hunt begin! Colour-coded camo bugs as sorted by William. What grows in a shape forest? Seven steps to throwing the best Earth Day party ever!